Features some smaller additional content. 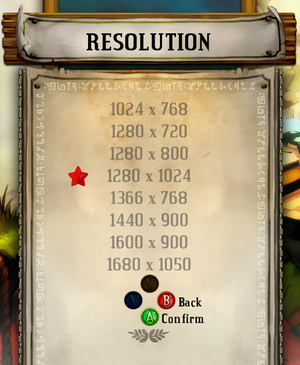 Patch 1.50436 can handle UHD OutOfTheBox, but it isn´t listed in the resolutions menu. Add -windowed -noborder to the launch options. Removing 60 FPS cap with -nofixedstep breaks the game. 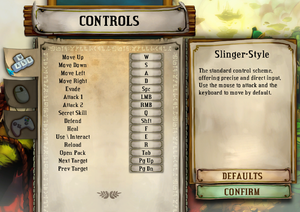 Only when mouse or keyboard is selected for controls. 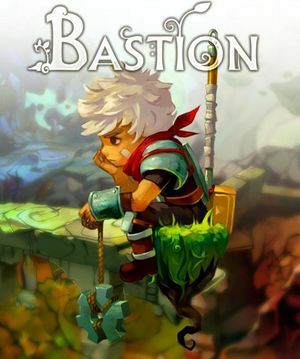 In order to force a specific language add -lang en to Bastion's launch properties. Available language codes are: "en", "fr", "it", "de", "es" and "zh" . Various fixes can be found in the Steam Users' Forum FAQ by the developer. 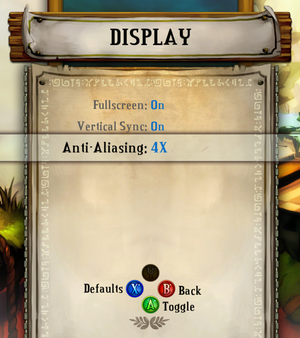 If a DPI scaling setting higher than "100%" is selected in Windows, the game can look blurry or may be too large to properly fit the screen. Find the game executable Bastion.exe on your system. Right-click the executable, then select Properties. Switch to the Compatibility tab and click on Change high DPI settings, under "Settings". On the new window, under "High DPI scaling override", activate the checkbox: [✓]. Select Application from the dropdown menu and confirm with OK.
Click Apply, then OK on the Properties window. To revert the changes, deactivate or unselect the checkbox mentioned above ( [ ] ) and apply the changes made. After updating to Windows 10, reaching 60 FPS is impossible even on good hardware. Input -nofixedstep This will unlock your framerate and allow you to run the game smoothly. 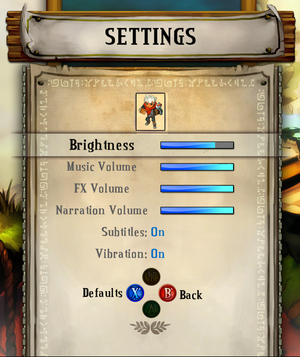 Ensure Vertical Sync is On in-game (an unlocked framerate breaks the game). When starting the game, all or some save games are missing. Search all the save game data locations and find the most recent ones. Now your save games should appear again the next time you launch the game. When you launch the game it immediately crashes after launching. When you launch the game it goes through the intro screens and then crashes before you are able to do anything. In the taskbar, right click on MSI Afterburner and click Close. This page was last edited on 8 April 2019, at 07:01.